People of the ancient ages believed in many gods with whom they attributed different aspects of their own world view. One of the most famous of those gods is Anubis, the god of the afterlife in Egyptian mythology also known as the patron god of lost and helpless souls. Anubis is considered to be one of the oldest gods of ancient Egypt and a descendant of the deity named Wepwawet. Wepwawet was a god of war in the form of a wolf, a fact that explains the similarities between Anubis’ and Wepwawet’s depictions on Egyptian inscriptions. Although his first appearance was on royal tombs dating back to the First Dynasty (that existed approximately between 3150 to 2890 B.C.E), probably Anubis existed in ancient Egypt before the First Dynasty and that is why he was included to these depictions. As one of the most popular and well-known gods of the Egyptian period, Anubis is still popular amongst the modern people today. 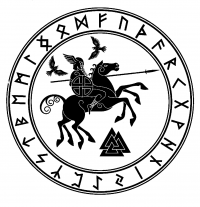 That is partly because his image is one the most instantly-recognizable images of the ancient gods, with many modern interpretations of it appearing in artwork, jewelry or ornaments. Anubis’ name originates from the Greek language; it is the Greek form of ‘Anpu‘ in Egyptian, which translates to the verb, ‘to decay’. The significance of this ties Anubis to his earliest associations with death, decay and the afterlife. Additionally, in ancient Egypt, Egyptians had a term for souls that had departed for the afterlife: ‘Westerners’. As Anubis was considered the guardian of departed souls, he was named the ‘First of the Westerners ‘. He maintained this title until the rise of Osiris during the Middle Kingdom period between 2040 and 1782. Anubis had many other names bestowed upon him. ‘Lord of the Sacred Land’ referred to an area of the desert where burial chambers were commonly located, and ‘He Who is Upon his Sacred Mountain’ referred to rockery surrounding burial places where jackals would gather at the scent of deceased corpses. As another name ‘Ruler of the Nine Bows’ referred to the practice of enemies being represented as nine prisoners bowing before a king. His other names included ‘The Dog Who Swallows Millions’, ‘He Who is in the Place of Embalming’, ‘Master of Secrets’, and ‘Foremost of the Divine Booth’. Between 3150 and 2613, during the Early Dynastic period, and between 2613 and 2181, during the Old Kingdom period, Anubis was the only existing god of death and decay. That made him the only god responsible for judging the worthiness of a person’s soul. With his rise later in history, Osiris began to take on many of the attributes and responsibilities of Anubis. That said, because belief in Anubis was so strong, rather than being replaced, he was assimilated into the same myth with Osiris. This is how he came to be known as the son of Osiris and Nephthys. According to the myth, Nephthys was awestruck by the beauty of Osiris and transformed herself to appear as Osiris’ wife, Isis. Anubis is depicted on burial tombs and other imagery as a black canine god, some postulating that this was to help stave off wild dogs and jackals from digging up the corpses of the recently buried. His ears are pointed and he bears the head of a jackal, though his body is that of a muscular man. Color-wise, his skin is depicted as dark, said to represent the death and decay with which the afterlife is associated. Anubis was seen as the protector of those who had passed on, ensuring that they received a respectful burial. It is said that he would stand by those who had died to ensure their resurrection. In early Egyptian history, Anubis was considered as the son of Hesat and Ra, until the rise of Osiris, when the belief turned him into the son of Osiris and Nephthys with time. Imagery involving Anubis’ depictions is the earliest use of a god on tomb walls for protection in the afterlife, and it generally depicts him overlooking a king’s corpse or participating in mummification and funerary ceremonies. Alternatively, he was also pictured with the god Osiris, or other gods. Often, Anubis is represented either on his knees or standing, holding the weight of the golden scales. These scales would be used to measure the heart of the soul, balancing it against the feather of truth, in a ceremony known as the ‘Weighing of the Heart of the Soul’. This is a popular depiction, as it is believed that Anubis would weigh the heart to test a person’s character; if your heart was as light as a feather, you could proceed to the afterlife, but otherwise a crocodile-headed god named Ammut would devour you. If you watched American Gods, the popular TV series by Starz, you will remember it had a scene showing this exact ritual. Although Anubis was a common element in artwork throughout Egypt’s history, he is not that frequently in spoken or written works of Egyptian mythology. His role was a relatively static and unchanging one, without the need for any explanation or elaboration. This, probably, is the reason why he does not feature in a great deal of stories from this period in history. 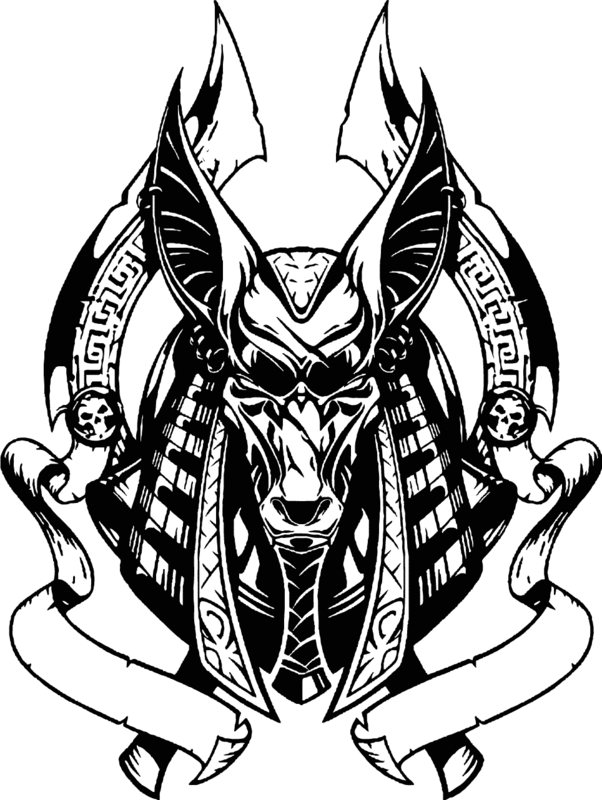 As it can be seen within some tomb inscriptions, or in certain modern works that reference Egypt, the priests or followers of Anubis would often don masks constructed from wood to look like the jackal god. A place of worship specifically designed for Anubis was created in Cynopolis, in Upper Egypt. The name Cynopolis translates as ‘the city of the dog’. However, there were a great many other shrines dedicated to Anubis throughout Egypt, as belief in this god was shared throughout the whole country. Hope you enjoyed our post about Anubis, the god of afterlife and the patron of lost souls. 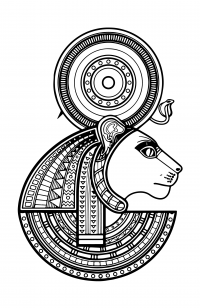 You can also read more on the ancient Egyptian gods in our Egyptian mythology section.